Computational strategies involved in the numerical simulation of large scale industrial problems, characterised by a transition from a continuous to a discontinuous state, are reviewed in the present work. Particular attention is focused on the numerical modelling of the progressive damage that precedes crack initiation for both brittle/ductile materials and the introduction of discrete fractures within an initially continuum formulation. For problems restricted to relatively small deformations, the use of continuum based methods may be suitable, but for situations involving large geometric changes with possible post-fracture particle flow, there are compelling advantages in employing combined finite/discrete element solution strategies. 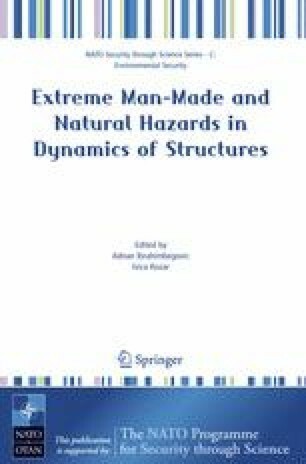 The need for rigorous consideration of both theoretical and algorithmic issues is emphasised, particularly in relation to the computational treatment of finite strain elasto-plastic (viscoplastic) deformation and element technology capable of dealing with plastic incompressibility. Other important aspects such as adaptive mesh refinement strategies are discussed and procedures are presented for undertaking the transition from continuously distributed fracture states to discrete crack systems, followed by post-failure modelling. The practical application of the above methodology is illustrated in the numerical solution of industrially relevant problems. 1.Civil & Computational Engineering CentreSchool of Engineering University of Wales SwanseaSwanseaU.K.